The hair is a woman’s crowning glory. We always make sure that our hair is in great condition before leaving the house. The appearance and condition of our hair can complete or ruin our look. Simple changes in how we deal with our hair can elevate our overall look. Here are some useful hair hacks that every girl should know so that our crowning glory will always look stunning. Curling your hair in the middle. Most women make the mistake of curling the ends of their hair. This is not the right approach, we should curl from the middle of the hair. This way the curl stays longer and looks more natural. This technique also keeps your ends from being damaged through the use of intense heat. Experts actually try to skips curling the ends as much as possible. 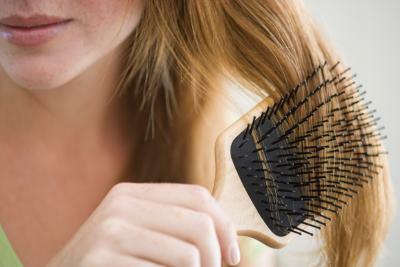 For people with thin and fine hair, conditioning the roots can make hair limp and lifeless. It also makes the roots oily, making the hair look greasy. Condition only the ends of your hair and skip the roots so that your hair will have more body and volume. Applying conditioner to your roots can also make the hair strands more prone to breakage. Use oil in disguising split ends. Do you constantly worry that your dry and damaged ends are visible? The solution is just on your vanity table. Applying oil to dry roots with split ends to conceal these and make the hair look healthier. Choose a lightweight hair serum that fits your hair type. Choose your hair tie properly. Women who love to work out experience having creases on their hair after going to the gym. For people with wavy or straight hair, use hair ties that offer no creases when used, instead of using a regular elastic band. When you use creaseless hair ties, you’ll see voluminous waves instead of unattractive-looking hair creases. Condition your hair before showering. For thick-haired girls, you can apply leave-in conditioner as you sleep because the longer it stays in your hair, the better the benefits. Before getting in the shower, lightly brush it first before rinsing it to remove tangles you get when you sleep. Then rinse and wash hair like you do. This way, you won’t get clumps when you shower and you have lesser chances of losing hair to those tangles. Apply a DIY hair mask. Why spend a ton of money on expensive hair products when you can make a hair mask in the comfort of your own home? Combine banana or avocado with some coconut oil and then mash everything together. Apply it to hair for a couple of minutes and then rinse. Another option is to put together honey and olive oil. This is great as a hydrating hair mask for dry hair. Sometimes, bobby pins can slip from their original positions. 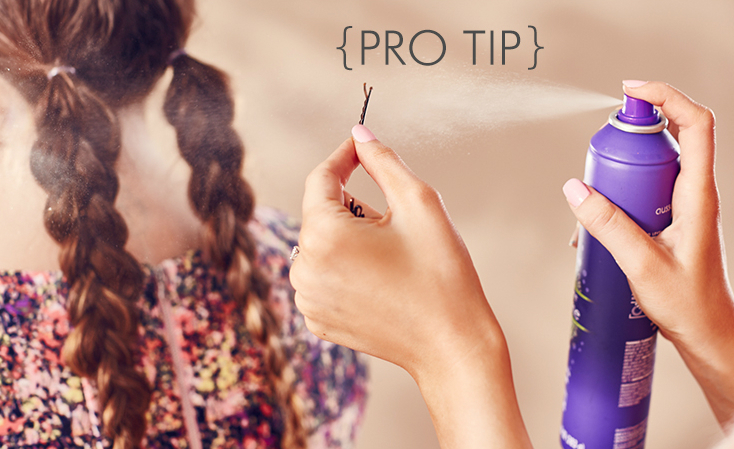 To keep them in place, spray the bobby pin with hairspray before setting them in your hair. This keeps the bobby pin in your hair and keeps your hairstyle secure.